Islamic Year 1440 Hijri: First Muharram 2018 to Be on 11th September in Pakistan . Mostly after the month of Zilhajj people search about when will be first Muharram. The Islamic Year 1440 Hijri is all set to begin within a week and as per the details the first Muharram 2018 in Pakistan will be on the evening 11th September and will last till the 10th October. 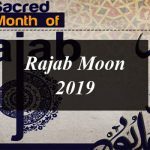 The Islamic year depends on the movement of the moon. The beginning of each Islamic month is marked by the sighting of the new moon. All the Islamic events depends on the observation of the new moon. In Pakistan Ruit-e-Hilal Committee is responsible for the sighting of the new moon and make the official announcement after watching it under the leadership of Mufti Muneeb-ur-Rehman. Muslims all across the world start the New Year with the first Islamic month Muharram, keep fast and the tenth day of Muharram is the Day of Ashura, which to Shia Muslims is part of the mourning of Muharram. The new Islamic year of Muslims is to begin in few days. The first Muharram 2018 will likely be on 12th September in Pakistan. Muharram in Pakistan is all set to begin at the sunset of 11th September. The first Muharram 1440 Hijri will be on Wednesday 12th September 2018 while the Ashura 2018 will be on Friday 21st September. Ashura Day 2018 will be on 21st September in Pakistan and observes in remembrance of the massacre of Muhammad’s grandson Imam Husayn ibn Ali – and some of his family and companions – at the Battle of Karbala. At Ashura various religious activities will be carried out such as spiritual singing and the recitation of Quranic verses. Since special prayers and addresses are conducted in public halls and mosques at night. The government of Pakistan declares official public holiday on 9th and 10th Muharram. There will be a public holiday on the occasion of Ashura 2018 in Pakistan. The official announcement of the Muharram 2018 will be made by the central Ruet-e-Hilal Committee in Pakistan after sighting the Muharram moon on 10th September. The central Ruet-e-Hilal Committee members will gather on 10th September 2018 for sighting of the Muharram moon under the supervision of Chairman Mufti Muneeb-ur-Rehman in Pakistan. The official announcement of the first Muharram 2018 in Pakistan will be made by the Chairman Mufti Muneeb-ur-Rehman.